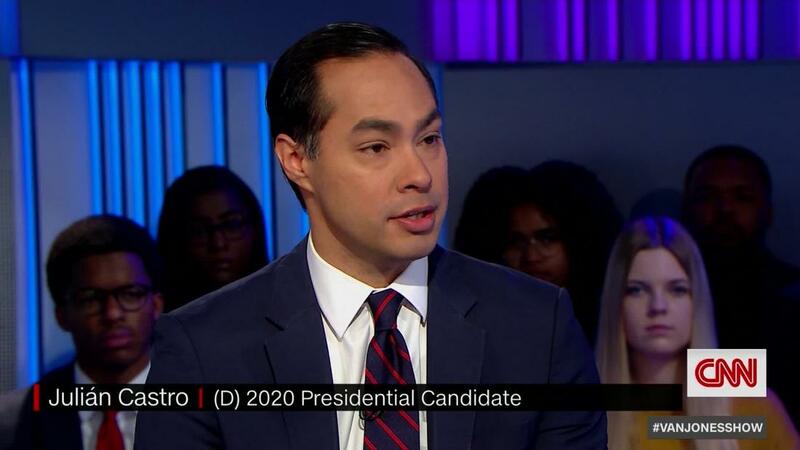 (CNN) 2020 Democratic hopeful Julin Castro said that while he knows his candidacy has “special meaning for the Latino community,” he is prepared to present his “vision that includes everybody” as he works to gain the Democratic nomination in an already crowded field. “I know there’s special meaning for the Latino community that I’m running for president. … I’m proud of my background. I do think that there’s going to be special meaning in my candidacy, but I’m also aware that I have to have policy proposals and a vision that includes everybody,” Castro said. Castro said Trump’s rhetoric, particularly when it comes to Latino-Americans, has divided the US. “I can only imagine, as a Mexican-American, the things that they’re going to come up with for me,” he said. When asked how he plans to make the 2020 election a “nightmare” for Trump, Castro said he would win states like Florida, Texas and Arizona and go after battleground states like Michigan and Wisconsin, should he win the Democratic nomination. “I believe that I can go — if I’m the nominee — and I can get back places like Michigan and Wisconsin and Pennsylvania and also go get Florida, Texas and Arizona, which we’ve not been able to do,” Castro said. Castro again said that he wouldn’t want to be vice president if he doesn’t get the presidential nomination. “That is the craziest process … In that VP process, you’re counting on one person basically to make a decision about who they’re going to choose. That’s just not my type of politics,” he said. Castro also said he wouldn’t be in the position he is today without his twin brother, Texas Rep. Joaquin Castro. “That is a bond unlike any other bond,” he said, jokingly adding, “I’m a minute older, so I get first shot” at running for president.